On July 30, 2010 at the United Nations Educational, Scientific and Cultural Organization’s(UNESCO) 34th World Heritage Convention in Brasilia, Brazil, Papahānaumokuākea became only the 28th Mixed World Heritage site in the world. 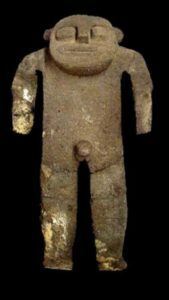 It was given the “mixed” designation because of its combination of natural and cultural features along with it’s importance in Native Hawaiian culture. 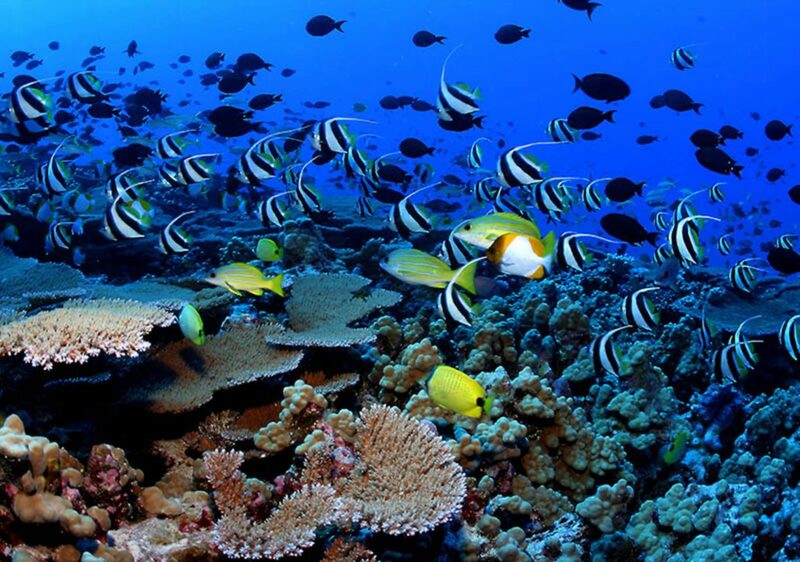 Papahānaumokuākea Marine National Monument is the only mixed natural and cultural UNESCO World Heritage site in the United States. 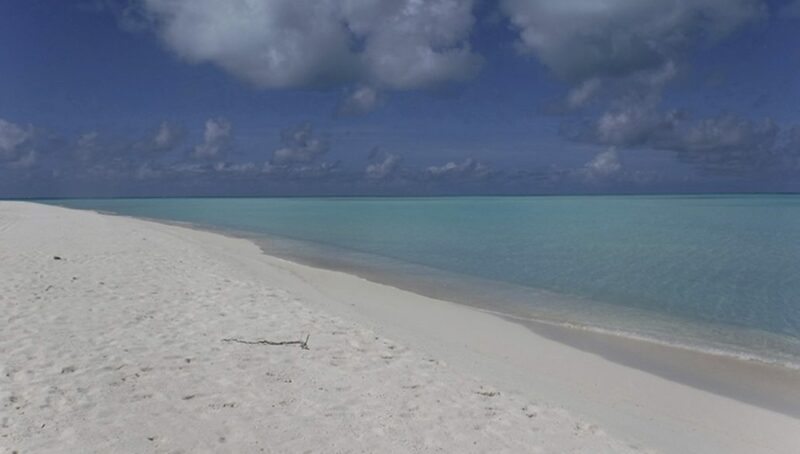 The small islands, reefs, and shoals of the NWHI represent the longest, clearest, and oldest example of island formation and atoll evolution in the world, spanning 28 million years. 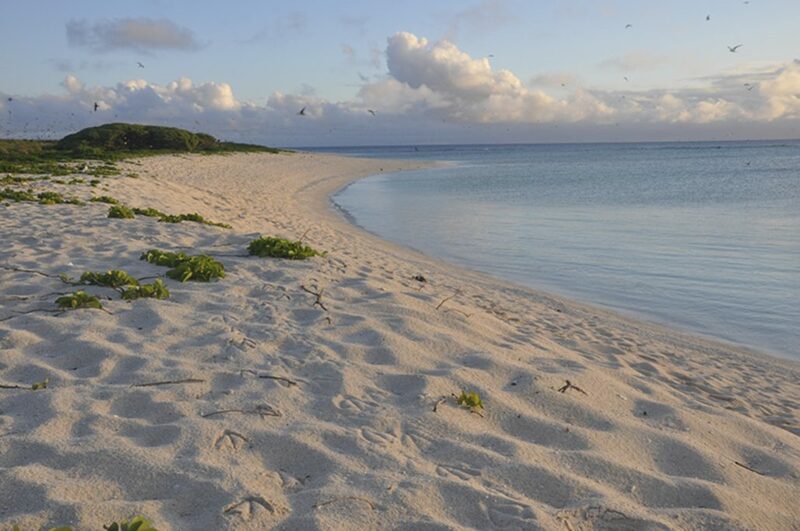 The islands and marine environment are also home to millions of seabirds and abundant marine life. What really distinguishes the NWHI from the dozens of other natural World Heritage sites around the globe is the overwhelming cultural significance that the region holds for the Native Hawaiian people. Papahānaumokuākea is known as one of the last “places of abundance” where people can experience an intact and abundant natural world. The islands were frequented by Native Hawaiians for centuries, with the geography and place names being interwoven into geneology, stories and religion. 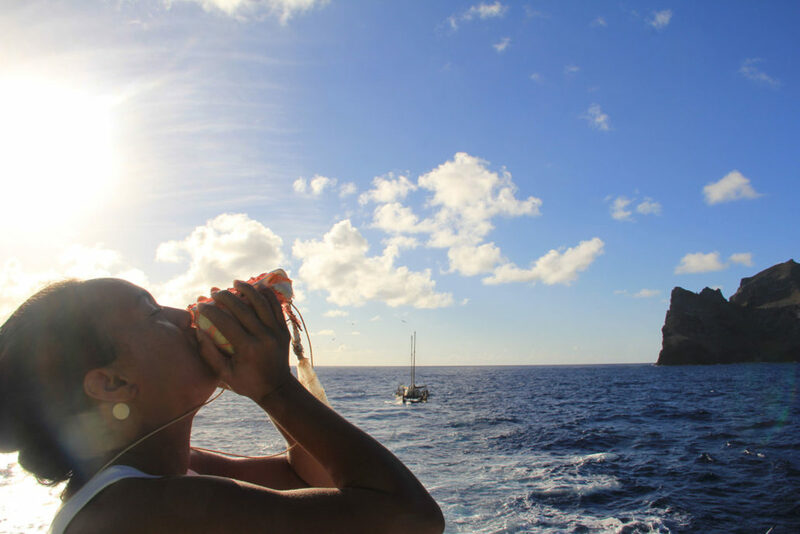 A visitor to the island of Nihoa blows a pū or conch shell. This is typically done to signal an arrival or departure from a place. 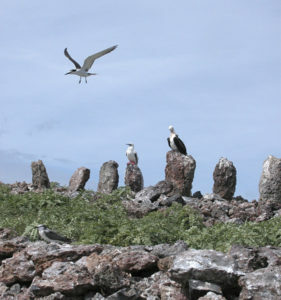 Upright stones on the island of Mokumanamana align with the sun and other celestial bodies showing the importance of the island to Hawaiian culture.